Rear sling adapter for your carbine that does not require disassembly of the stock tube to install. Just slip your buttstock off, work the adapter forward onto the castle nut and tighten moderately. The adapter clamps onto the castle nut. 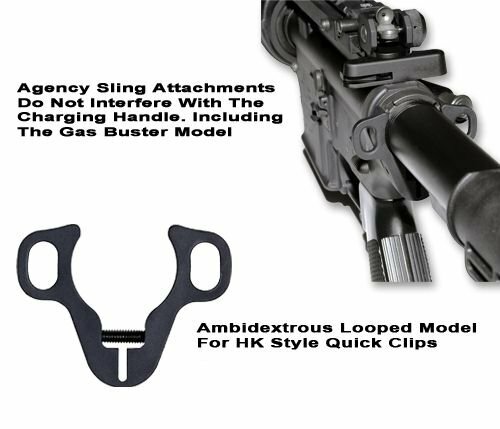 This adapter style was developed for government agencies that needed to be able to add a sling attachment point to numerous carbines without disassembling each one.